Start Your Day With Warm Dry Boots Compliments Of Our Heated Vault Style Pack Featuring 3 Heat Settings That Provide The Perfect Temperature And Warm Toes. Safety tested heating elements and components warm boots to the right temperature for both comfort and evaporation of moisture. 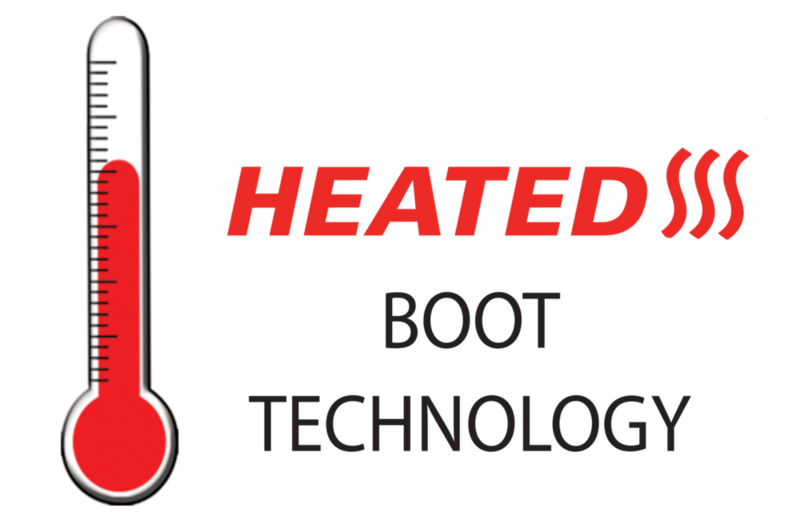 Three heat settings allow you to set the desired heat temperature to warm your boots as well as gloves, hat and socks. 2 Plugs: a standard plug for wall outlets or a 12 volt plug for your car. Top zippered mesh compartments for evaporated moisture to escape. External helmet pocket on door opening accommodates a full sized helmet or can be zipped up flat allowing the bag to stay compact. accessories, personal items and gear.